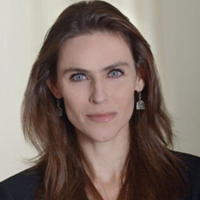 Rachel T. Moresky, MD, MPH, FACEP is the Founding Director of Columbia University’s Systems Improvement at District Hospitals and Regional Training of Emergency Care (sidHARTe) Program and Founding Director of The Columbia University International Emergency Medicine Fellowship. Dr. Moresky is an Assistant Professor at Columbia University, with appointments in the Mailman School of Public Health and the College of Physicians and Surgeons in Department of Medicine, Division of Emergency Medicine. She completed her Master of Public Health and International Emergency Medicine Fellowship at Harvard University. Dr. Moresky’s commitment to forming international partnerships that improve emergency medical care in rural settings led to the creation of the sidHARTe program, a joint initiative between Columbia University and the Ministries of Health in Ghana and Rwanda as well as partnerships in Kenya, Honduras and Cambodia. Dr. Moresky's expertise in engineering, medicine and public health have driven her to design and implement innovative solutions in the fields of humanitarian assistance, disaster response, and acute care health systems in Sub-Saharan Africa and Asia over the last 15 years. Dr. Moresky's current work is focused on emergency care health system strengthening, and the development of technical and policy tools to support delivery of acute care in resource limited settings. Her work examines task-shifting in emergency medicine to lower cadres, injury epidemiology, health system preparedness, and interventions to improve child survival using low resource and noninvasive technologies for undifferentiated respiratory distress such as Continuous Positive Airway Pressure (CPAP). Dr. Moresky will be recruiting the tenth class of the International Emergency Medicine Fellowship, a two-year program that parallels in-depth clinical and public health work in international settings with a Master of Public Health in Public Health & Humanitarian Assistance. Dr. Moresky combines her field experience in international health systems, humanitarian assistance, and disaster mitigation and response, to mentor future leaders in international emergency medicine and humanitarian action. Dr. Moresky has partnered and implemented projects with Ministries of Health, WHO, CDC, Global Fund, IRC, IMC, MSF and other NGOs mainly in East and West Africa, Southeast Asia and Eastern Europe.